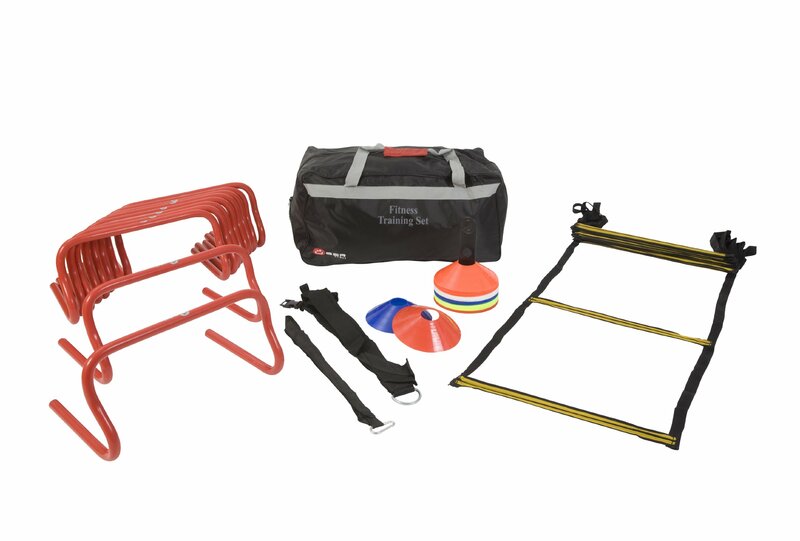 Home / Sports and Outdoors / Fitness / Fitness Training Set – A great training package suitable for personal trainers and anyone looking to improve their fitness. Includes 10 training hurdles, a 4m foot speed ladder, a speed resistor belt, 25 grid marker cones and a nylon storage bag. 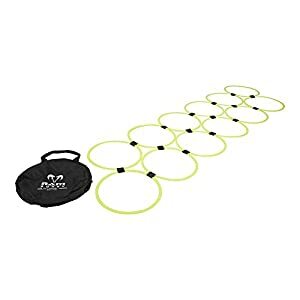 The Fitness training set is a great training package suitable for professional trainers and individuals looking to improve their fitness with some circuit training. 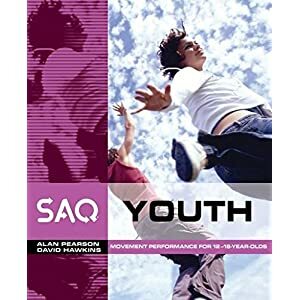 These products are often described as Speed agility quickness (SAQ) products and are suitable for use indoors or outdoors. This SAQ fitness package contains the most popular and versatile SAQ kit so can be used to create a huge variety of different circuits.